TULSA, OK – The 33rd annual Lucas Oil Chili Bowl Nationals Presented by General Tire is down to one final preliminary night on Friday before Saturday’s finale inside the River Spirit Expo Center. NASCAR driver Ricky Stenhouse Jr., Tanner Thorson, Justin Grant, Kevin Thomas Jr., Daryn Pittman, Dave Darland, former Chili Bowl champion Damion Gardner, Chad Boat, Spencer Bayston and Kasey Kahne, who recently retired from NASCAR competition, are among the 60-plus roster aiming for a strong night that ends in a top-two finish to lock into Saturday’s A Main. Christopher Bell claimed a preliminary night victory for the fourth straight year and Shane Golobic placed second on Thursday to join Logan Seavey, Brady Bacon, Kyle Larson, Zach Daum, Rico Abreu and David Gravel as lock-in drivers. The top two on Friday round out the field of guaranteed A Main starters entering a day of features on Saturday. The RacinBoys Broadcasting Network will showcase live Pay-Per-View coverage of Friday’s action, delivering a live video feed with multiple cameras, replays and more. Hot laps will kick off the coverage at approximately 4 p.m. (Central). The Pay-Per-View broadcasts feature talented announcers including Justin Zoch, Brian Gapinski, Kaleb Hart, Brian Ward, Lenny Batycki and Jim Childers. Brandon Hahn and Scotty Cook are the pit reporters and Kevin Swindell and Clinton Boyles also provide commentary throughout the event. The price to order the Lucas Oil Chili Bowl Nationals Pay-Per-View is only $29.99 per day. The live broadcast of the finale on Saturday will only be the preliminary races up to the MAVTV television broadcast and live stream on Lucas Oil Racing TV, which is slated to begin at 7:30 p.m. (Central). Additionally, the post-race press conference each night will air for free on the RacinBoys website and Facebook page. The Pay-Per-View coverage is sponsored by McCarthy Auto Group, Lucas Oil Products and Schoenfeld Headers, which is also the Pre-Race Show sponsor. Additional sponsors include: Rod End Supply, Hyper Racing, ButlerBuilt Professional Seat Systems, National Sprint Car Hall of Fame & Museum, MyRacePass. Impact Signs-Awnings-Wraps and Spire Sports + Entertainment. To purchase any of the events, visit the RacinBoys website – http://www.RacinBoys.com – and register as a new member if you haven’t done so from previous PPV events. There is no membership charge required to purchase RacinBoys live PPV webcasts. The premium section of the RacinBoys website will have additional video content not only from the Chili Bowl, but other events throughout the year as well. Fans who are new to RacinBoys will need to create a free membership on the RacinBoys website to purchase any PPV options. After logging in, visit http://www.racinboys.com/events or click on “Upcoming Live Events” for the six-day Chili Bowl for $144.99 ($134.99 for premium members). Individual days can be purchased for $29.99 each. The 33rd annual Lucas Oil Chili Bowl Nationals Presented by General Tire will invade the River Spirit Expo Center in Tulsa, Okla., Jan. 14-19. More than 300 of the top drivers in a variety of motor sports classes will vie for the coveted title at the premier midget event of the season. For more information, visit http://www.ChiliBowl.com. Founded in 1989, Lucas Oil is a manufacturer and distributor of automotive and racing oil, additives and lubricants. Lucas Oil has long been directly involved in the American racing industry through multiple vehicle sponsorships and racing event promotions at all levels. Seeing a need for better lubricants in this industry, the Lucas people went to work again. The end result being a line of high performance engine oils and gear oils that are second-to-none in the racing industry. Lucas racing products have proven themselves on NASCAR, NHRA, IHRA, PPL and USHRA tracks across the country. For more information, visit http://www.LucasOil.com. McCarthy Auto Group includes nine dealerships throughout Kansas and Missouri with an extensive inventory of the newest models and most popular makes of vehicles, including Chevrolet, Buick, GMC, Hyundai Toyota, Nissan and more. McCarthy Auto Group also offers superior auto service departments from oil changes to body repair. They are a one-stop shop for new and pre-owned automobiles, collision repair and much, much more. The professionals at McCarthy Auto Group also have a passion for connecting with the community and enhancing people’s lives. They encourage everyone to help them support the community in many of their charitable causes throughout the year. For more information, visit http://www.ShopMcCarthy.com. 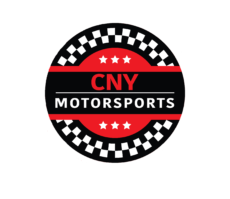 RacinBoys, founded by Scott Traylor and Kirk Elliott in 2003, is an internet broadcasting company covering all forms of motor sports. RacinBoys produces weekly radio shows on Sports Radio 810 WHB, ESPN Kansas City and its website RacinBoys.com. RacinBoys also provides live video and audio coverage of series and racing events including the Lucas Oil ASCS National Tour, Lucas Oil Tulsa Shootout and Lucas Oil Chili Bowl Midget Nationals. For more information, go to http://www.RacinBoys.com or e-mail racinboys@racinboys.com.